My friend Ema visited me in Liverpool this weekend all the way from London. 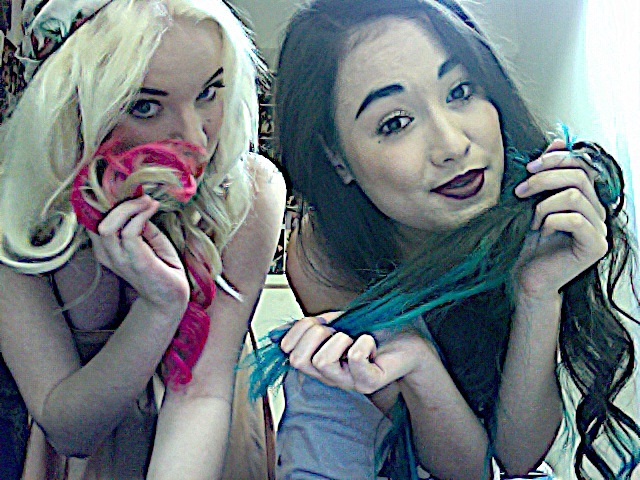 Amongst, our activities we did a bit of hair dying and she helped me dip-dye my virgin hair - turquoise! I've never dyed my hair before, and because it's so dark I had to bleach it (lots) first. Equipt with bleaching powder, peroxide and plenty of foil we proceeded to section my hair as Ema painted on the gloopy blue mixture, eventually my tips turned blonde (well, yellow..) after a lengthy process of waiting, heating, and washing I added the turquoise dye. Unfortunately this dye is only semi permanent, I used DIRECTIONS dye which comes in a selection of colours (pictured above) so I'll have to keep topping up (before my hair goes green) but it comes out a beautiful bright turquoise colour on first application! You can buy it either offline or from hair shops such as Paul's hair world or in more alternative places like Aflex Palace. I don't know what my mum will make of it but I love it! It's super long at the moment, and frankly a bit of a mess but I don't care. I feel like a mermaid. I love the color you used! I'm thinking about adding some color to my hair tips too. If I will, I'll definitely choose a similar color. It looks great! I'm also thinking about to color my hair like that. 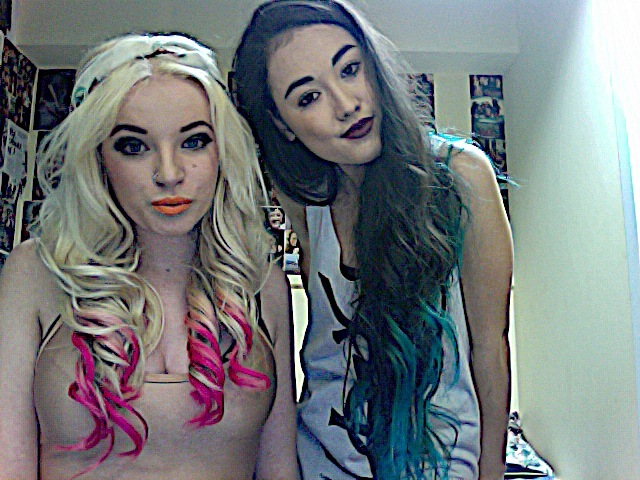 You girls looks so fab! Love it!